One of my biggest challenges as a mom is finding time to prioritize my own health. 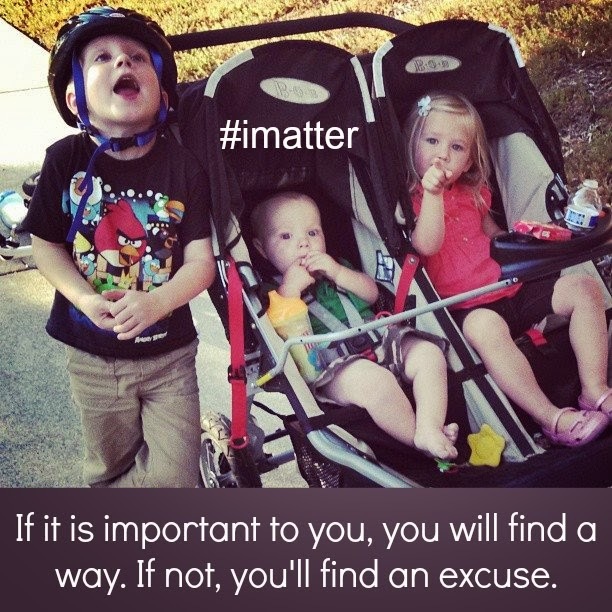 Often my kids and other busy schedule items come first and I can get easily run down and exhausted. Did you know that the majority of your baby’s lifelong wellness can be positively shaped by the nutrition and environment you provide during those first 1,000 days of development from your first day of pregnancy to age 2? As a busy pregnant mom with three other kiddos I have been trying hard to make good choices with regards to my exercise, hydration, and nutrition, but often I fall short. This pregnancy I am trying to change a few of my habits and I am excited to enlist Nutrimom to help me! Today I'm going to share how! The Nutrimom program is a brand new program designed for moms and moms-to-be whose mission is to help moms make informed choices about nutrition and wellness during the first 1,000 days of baby’s life. As moms, our health matters because we need to be able to set an example for the little people in our charge AND because if we aren't healthy it is so much harder to be a mom and get important things done! This year my theme is "no excuses" and I am making time to prioritize my health! 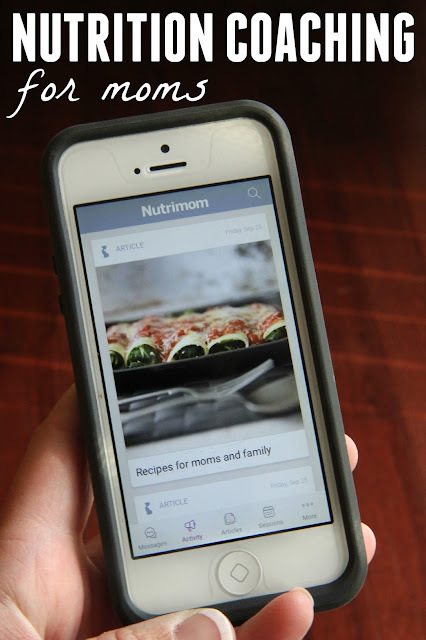 A few weeks ago I went through the super simple process to sign up for the Nutrimom program and download the app for my phone. Next I filled out a brief survey about myself and then I was connected with my very own Nutrimom coach. Within the next few hours I heard from my Nutrimom Coach, Annie, and we got started scheduling our first Nutrimom coaching call. When I signed up I hadn't realized I would get to talk to an ACTUAL person... instead of a computer, so that made the whole process seem so much more personalized! My coach Annie is a busy mom of two and also a registered dietitian. Annie and I found a time that worked for both of us to chat on the phone for a few minutes... which is always a bit crazy for me, but I found that it was worth it! In our first coaching session Annie and I chatted for about 30 minutes and she got to know a little bit about me and my nutrition and exercise habits and a little bit about my family. While we talked we came up with a plan to help me specifically with my hydration and eating habits... two things I struggle with! Chatting with Annie also motivated me to more consciously track my exercising since when I am pregnant I feel so much better when I am working out regularly! Over the next few days Annie sent me a follow-up email to go over our plan along with some related articles to read. She also challenged me to upload photos of what I was eating using the tracker in the app so that she could have a better idea of things I was eating and offer alternatives! Nutrimom has a huge digital library of easily searchable, science-based nutrition and wellness information tailored to individual needs. 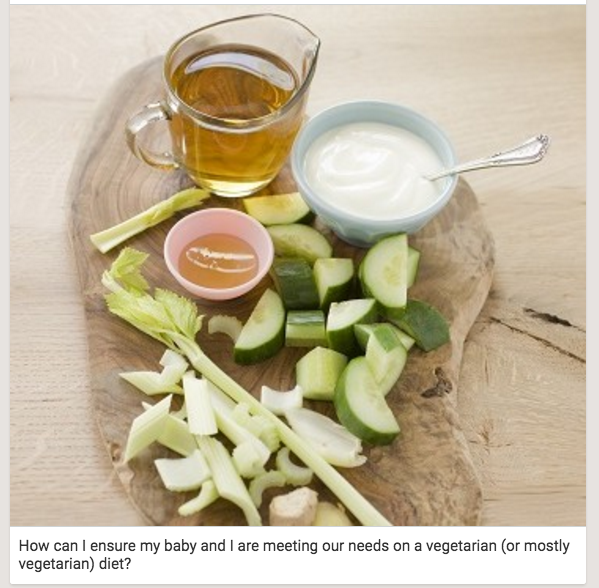 Since I am a vegetarian some of the resources Annie sent me explained how to meet my nutritional needs while also being pregnant, which was SO helful! Annie helped me set such reasonable, simple, and DO-ABLE goals that I felt successful immediately! Having someone available to focus on my wellness needs and give me feedback has been invaluable! It is much easier to be committed when I'm reporting back to an actual person too! I'd love to hear your tips for staying healthy as a mom and prioritizing your wellness! How do you find time to exercise, make healthy meals, etc? What works for you? For those interested in signing up for the Nutrimom program, you can view all the different subscription plans here.